Bristol / Bordeaux artist at Upfest 2017 ! Bordeaux artist at Upfest 2017 ! 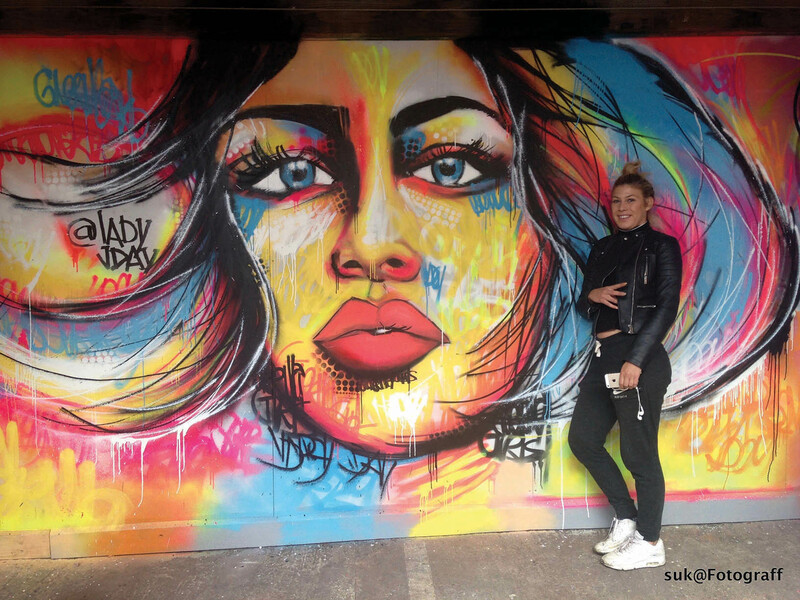 Top street artist Lady JDay from Bordeaux was invited by the Bristol Bordeaux Partnership to take part in this year’s UPFest. 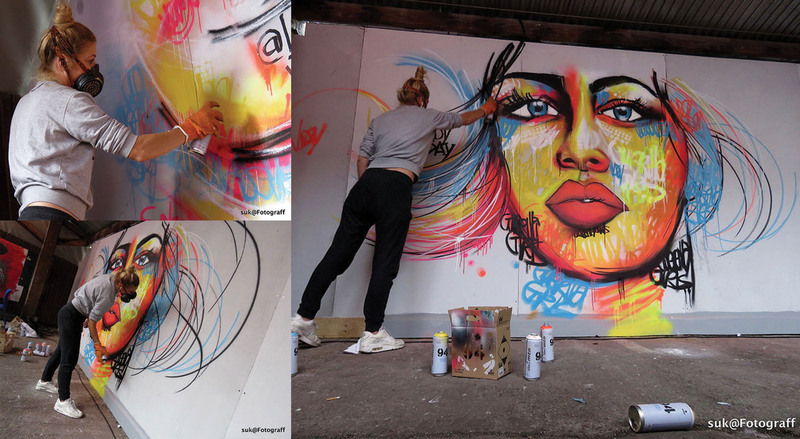 Alongside over 330 artists from Bristol, the UK and the world, her signature piece proved very popular with the tens of thousands of visitors who attended. Lady JDay likes to paint images of strong and independent women and she is currently in residence in New York. She outlined her influences and her heroines at an informal “meet the artist” talk hosted by the BBP in the Tobacco Factory. Lady JDay also took time out to paint an image for the Bedminster Winter Lantern Parade which will have a Bordeaux theme this year. Many thanks to Quartet and the Tobacco Factory for their support as well as to UPFest and Suzanne for the photos and especially Vivien and Rob from the BBP.